Lip Rouge in classy metal palette with 12 colors. Lip Rouge with a long-proven formulation, including Vitamin E to stimulate the skins repair mechanism. Lipstick Classic produces a matt impression and is known for its good durability. 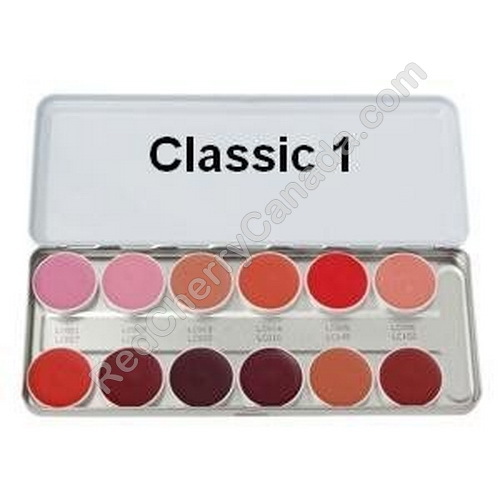 Lip Rouge Palette is available in the assortments Classic 1 and Classic 2.